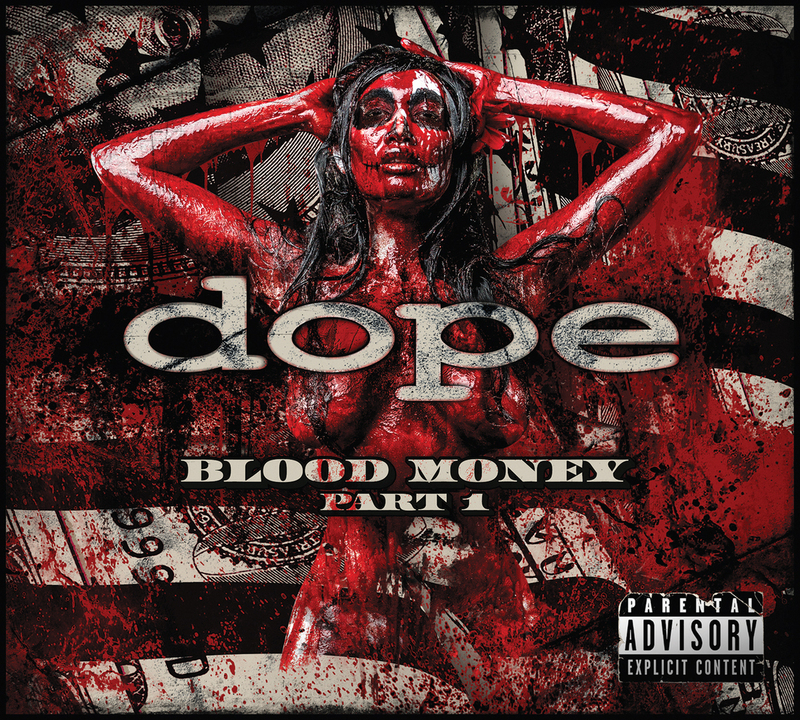 Blood Money, Part 1 is Dope‘s highly anticipated sixth studio album, and the band’s first album in seven years. The album will be released on October 28th via eOne Music. Fans can Pre-Order the record, along with a plethora of bundle packages, meet and greets, and exclusive new merch designs at www.DopeTheBand.com. Dope is currently on their Revolver Magazine sponsored “Die Mother Fucker Die” Reunion Tour, featuring support from the bands Flaw and Motograter. The Dope reunion tour features the classic line up of Edsel Dope, Acey Slade, Virus, & Racci Shay. The U.S. portion of the tour goes until October 30th with the final show at the legendary Whiskey A Go Go in West Hollywood, California. From there the band is off to play 5 shows in Russia and their final show of the tour in London, UK, their only UK date of 2016. I had the recent opportunity to catch up with Edsel ahead of the new album release.